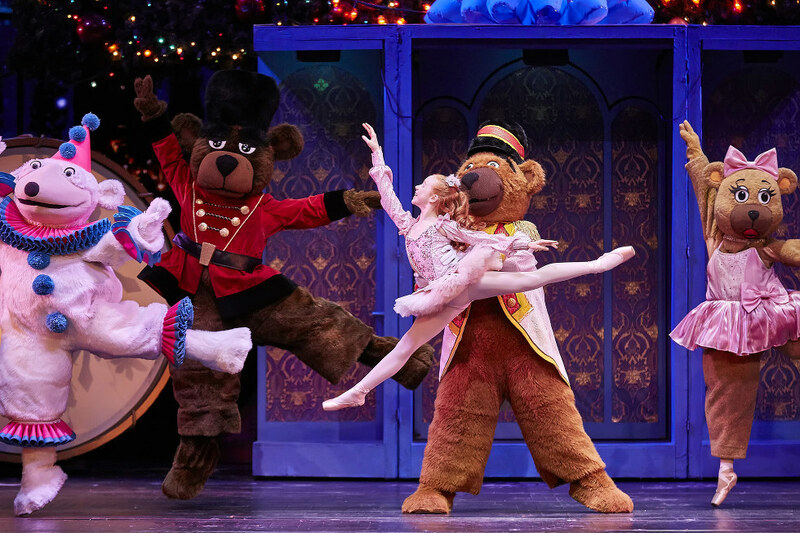 What's your favorite part of performing Clara in the Christmas Spectacular? Emerson Tate Alexander: My favorite part is at the end of my dance when I strike my final pose sitting on the bear prince's shoulder, and I hear the crowd erupt. It's such an amazing feeling! JosaBella Morton: Dancing on the stage of Radio City Music Hall is magical. My favorite part starts at the very beginning of the Nutcracker scene. The moment I "wake up," I try to captivate the attention of each audience member in hopes that they feel the same Christmas magic I feel at that very moment. 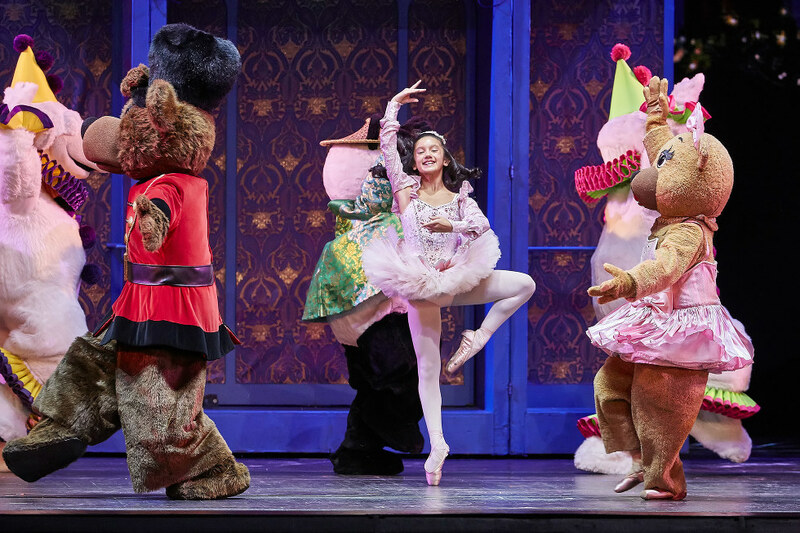 Rachel Quiner: I love looking out into the audience as the Nutcracker scene is just beginning. It's magical to see the lights shine down on the stage. What are some of the challenges you've had to overcome for this role? Emerson: Dancing on a non-traditional dance floor and having a really tall dance partner. The stage at Radio City Music Hall is wood and steel, and my dance partner is a huge bear! JosaBella: One of the biggest challenges for me is the flooring. I'm used to dancing on a marley, so during the shows, I've added a small piece of rubber at the tip of my pointe shoes to keep from slipping. Rachel: The first year I performed in the Christmas Spectacular as Clara, I was 10 years old. I didn't have much partnering experience and struggled to master the finger turn with the bear prince. Do you still get nervous before you go onstage? If so, what do you do to calm your nerves? Emerson: Yes! But prior to the show, I review the choreography and remind myself that I am fully prepared for the dance. JosaBella: For the first few shows I felt really nervous, but I don't get as nervous now. Often I meditate in the wings while the Rockettes perform their "Twelve Days of Christmas number" which is right before my Nutcracker number. Rachel: I don't get too nervous anymore. The Christmas Spectacular team does a great job preparing you for the role. Once you rehearse the steps and are comfortable with the choreography, it's fun to just go onstage and dance for the audience! What have you enjoyed about performing with the Rockettes? Emerson: The Rockettes are an unbelievable family of amazingly talented women who are super kind and friendly! They are wonderful role models. JosaBella: I love the Rockettes! 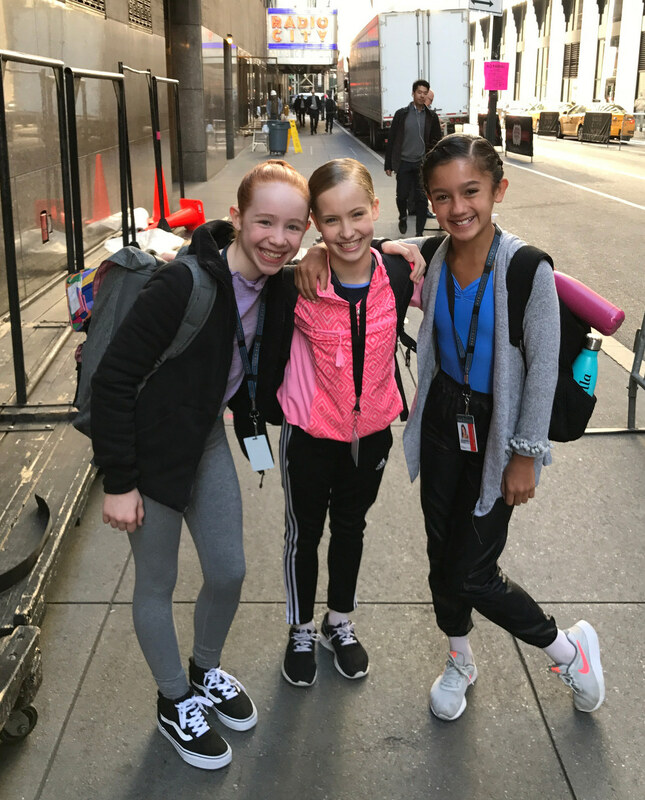 They bring the best energy onstage, offstage, in the wings, and throughout all of Radio City Music Hall. I've enjoyed making friends with them, too. They'll often leave good luck messages in my dressing room. Sometimes when we're on stage together or in the wings, we'll make funny faces or create little handshakes. Rachel: The Rockettes are really nice and so inspiring! They work super hard and are very supportive of the Claras. During dress rehearsals, they always cheer for us in the Nutcracker scene. How do you keep things fresh when performing the same role over and over? Emerson: I know that every show is special because the audience is never the same. I want the person in the front row to enjoy the show just as much as the person in the rear of the balcony. JoseBella: I continuously try to push myself to be better with each new show. Rachel: I enjoy performing as Clara. Even though this is my third year of dancing the role in nearly 70 shows, I never get tired of it. I see each performance as a fresh opportunity to brighten someone's day. Dance-wise, what have you learned from performing as Clara? Emerson: I've learned multiple partnering techniques that I'll use for future performances. JoseBella: "Teamwork makes the dream work!" Being part of such a large and amazing cast and crew has taught me that you have to work together and be supportive of one another. Rachel: I'm working on mastering consistency in my performances, which will help me in the future. When I feel tired or am having an off day, I try to push through it to deliver a great performance. If you were to give advice to next year's cast of Claras, what would you say? Emerson: I would say…congratulations! This will be an amazing experience. Do what you love and love what you do. JoseBella: Take it all in! Work hard. Be yourself. Live each day thankful that you get to be here and dance on this amazing stage. It has truly been an honor and dream come true to play Clara in the Christmas Spectacular. Rachel: Don't take a single moment for granted. Soak up every second of the experience. It all goes by so fast. I've made such wonderful friendships with the cast and crew of the Christmas Spectacular and I dearly love each one of my Clara sisters from these past three years!